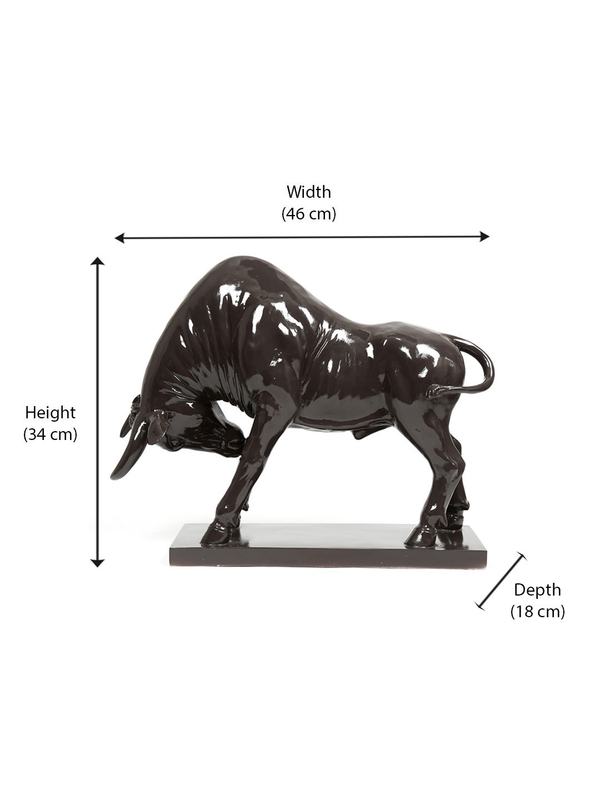 Jazz up a corner of your home or office with this beautiful polyresin bull show piece from @home. This showpiece has been handcrafted by expert artisans and features detailed engravings. This royal piece of art simply demonstrates how a simple work of art turns into a master piece of craftsmanship. It can serve as a show piece as well as a great gifting option for your loved ones, family and friends. This article has been designed using multiple conventional techniques.